Elizabeth Moylan, Publisher at Wiley, talks to Michael Willis, Senior Manager in Wiley’s Content Review team, about the work he and colleagues have undertaken to explore what better peer review looks like. The ability to identify a quality research output is an essential skill academics, professionals and researchers hone as their experience grows. Similary editors need to quickly refine their ability to recognise quality in peer review. But can you define its characteristics beyond pretty broad principles? Describing what makes for a high quality peer review doesn’t only make the work of editors and publishers easier, it provides helpful prompts for early career researchers who want to refine their peer review and other academic writing skills. Which is why this interview is such a helpful read. Q. What inspired you to define a set of standards for ‘better peer review’ ? A. 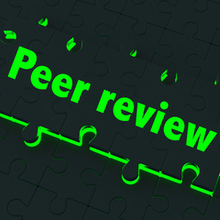 The starting point was a question thrown out by a Wiley colleague: ‘is there a gold standard of peer review?’ That got us thinking about what good peer review looks like. I guess we all have our preconceptions of what good peer review looks like – it should be timely, ethical and fair – but we felt we needed to articulate the details more usefully and also help journals to improve in measurable, specific ways. This in turn led to a project to define essential areas of best practice for peer review. We thought about different characteristics of the peer review process, and then we described the ways in which each of these might be manifested. Taking integrity as an example, and pertinent to the theme of this year’s Peer Review Week, a journal might achieve greater integrity in its processes by working towards greater geographical and gender diversity in its reviewer pool. You can read more about our project in this blog post which we wrote soon after the project launched. Q. How did you go about researching some of the issues in peer review? A. Having defined our scope, we then published a survey seeking the views of editors, reviewers, authors, readers and the general public, asking them to share examples of good practice in peer review. We received 40 case studies which we grouped under the headings of integrity, ethics, fairness, usefulness and timeliness.